Masters of Media » Music visualizations as a means for discovery. 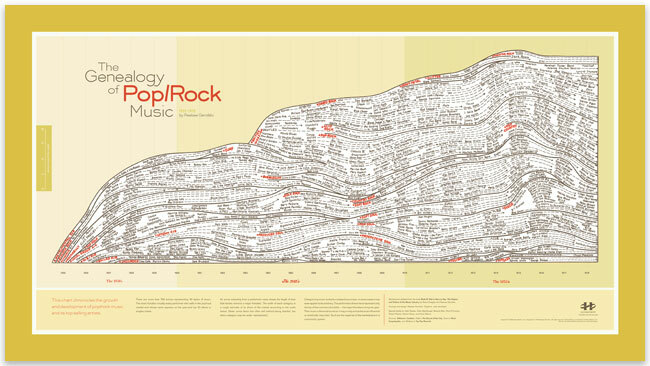 The comments in the BBS thread point to a number of visualizations that I hadn’t seen before including: this book on Rock Family Trees along with this incredibly detailed view of the Liverpool music scene. This entry was posted on April 15, 2011, 1:28 pm and is filed under Music, visualization. You can follow any responses to this entry through RSS 2.0. Both comments and pings are currently closed. Really cool. Awesome blog here.